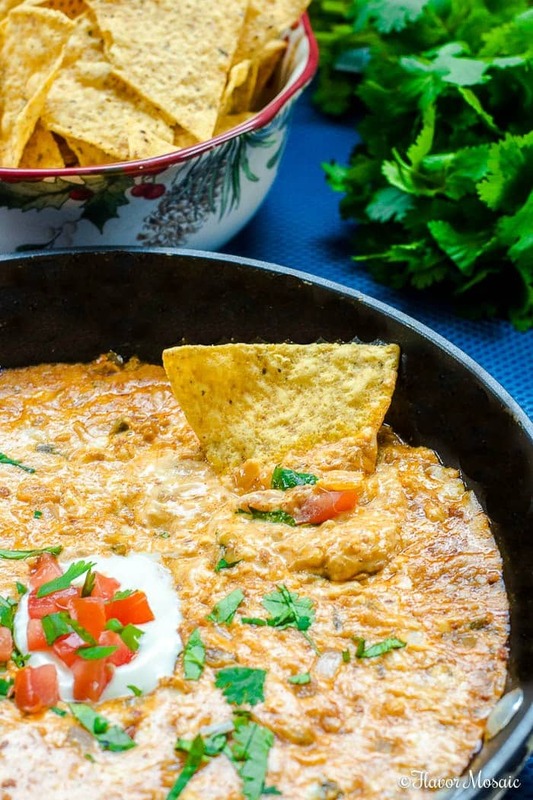 Cheesy Chorizo Jalapeno Mexican Dip is a spicy queso dip made with chorizo, onions, jalapenos, and Mexican cheese that is perfect for parties and holiday entertaining! In my first job out of college, back when I did not cook, one of my coworkers always made the best queso at office parties. We loved to find any excuse to have an office party. However, there were a few rules for these parties. The first and most important rule was that no one other than Bonnie was allowed to bring the queso dip to the party. 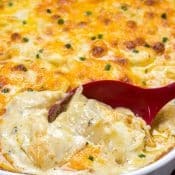 She kept the recipe a secret, but years later, after experimenting with different recipes, I figured out that her secret ingredient to her queso dip was chorizo! It added such a delicious, robust, savory flavor to the queso. 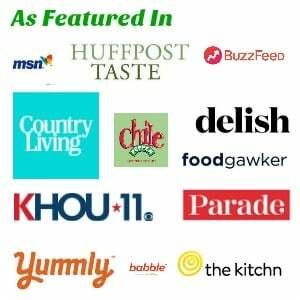 What is in Cheesy Chorizo Jalapeno Mexican Dip? 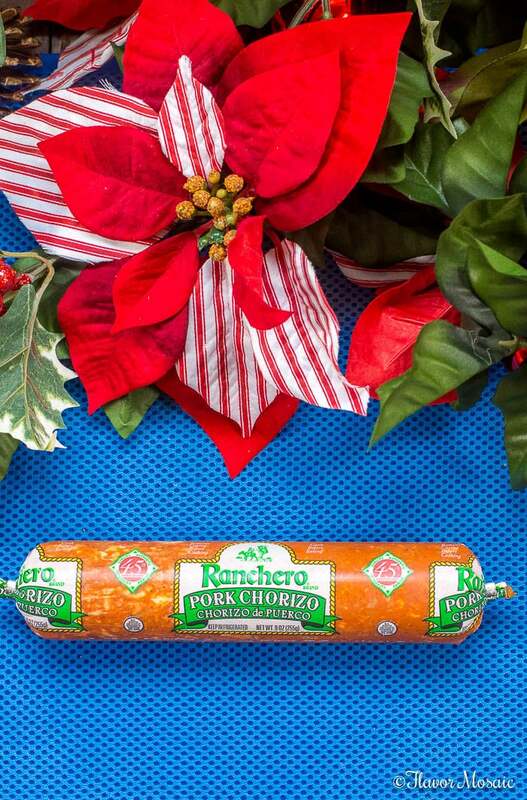 Chorizo – I used Cacique® Ranchero® Pork Chorizo, but you could use their Ranchero® Beef Chorizo, or for a vegetarian version, try the boldly spiced Cacique® Soy Chorizo! 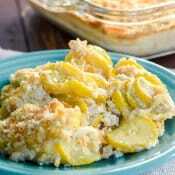 Cheese – I used the following 2 types of cheeses for more depth of flavor and texture. 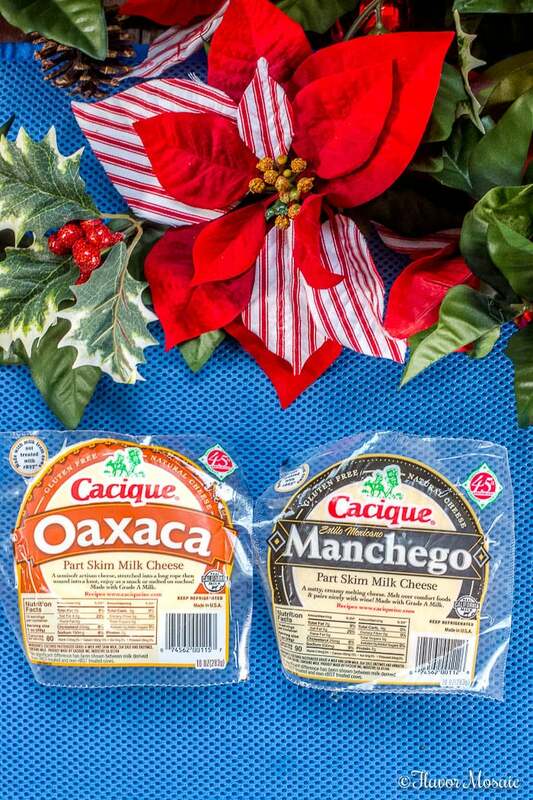 Cacique® Manchego Part-Ski Milk Cheese – Cacique®’s Manchego has a nutty flavor and thick, creamy texture. It has the tangy taste of a Colby. 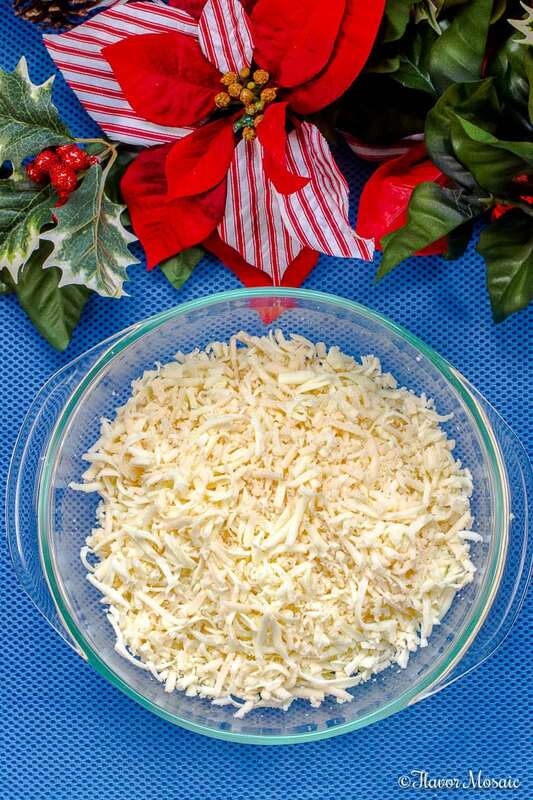 Shred this cheese and add it to the top of this dip or slice or cube to serve with fruit or crackers. 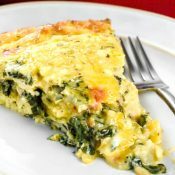 Sour Cream – but not just any sour cream. 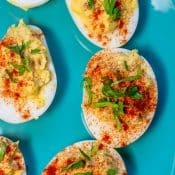 I used Cacique® Spicy Jalapeno Mexican Style Sour Cream, a Mexican-style sour cream infused with spicy Jalapeño flavor, that perfectly balances the flavor and spicy heat. Onion – Chop up 1/2 an onion and cook with the chorizo. Jalapenos – Dice 1 to 2 jalapenos (depending on how spicy you like it) and cook with the onion and chorizo. Cacique® Cheeses, Flavored Sour Creams and Chorizo offer a variety of flavors to make it easy for you to enjoy the authentic Mexican flavors in your recipes without any additional effort. 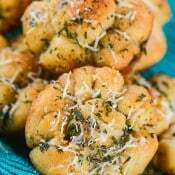 How Do You Make Cheesy Chorizo Jalapeno Mexican Dip? 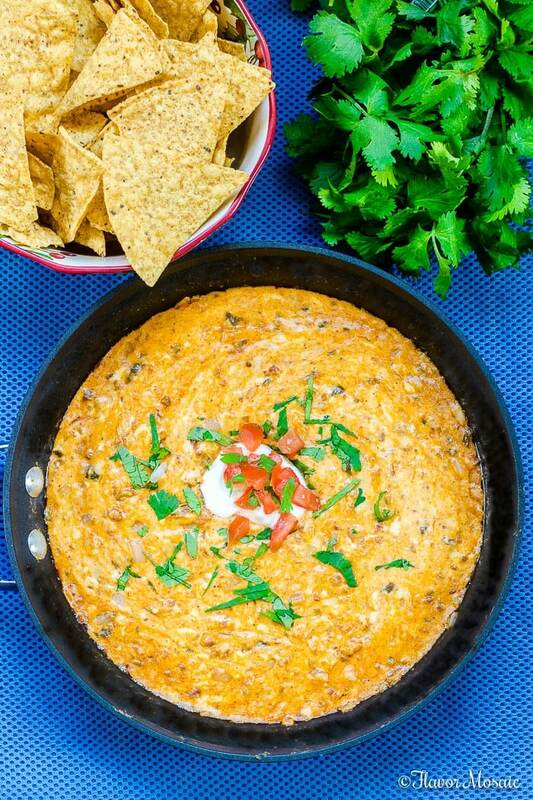 You won’t believe how easy it is to make this Cheesy Chorizo Jalapeno Mexican Dip. Cook the chorizo per the package instructions. 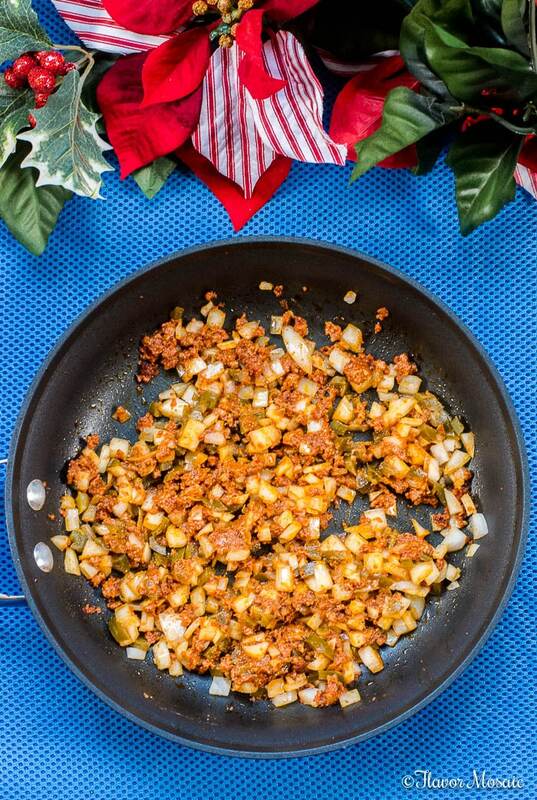 Add the chopped onion and jalapeno and cook with the chorizo. 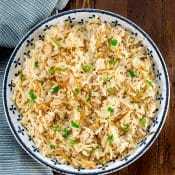 Add the shredded Cacique® Oaxaca and Manchego cheeses and stir until the cheeses melt. 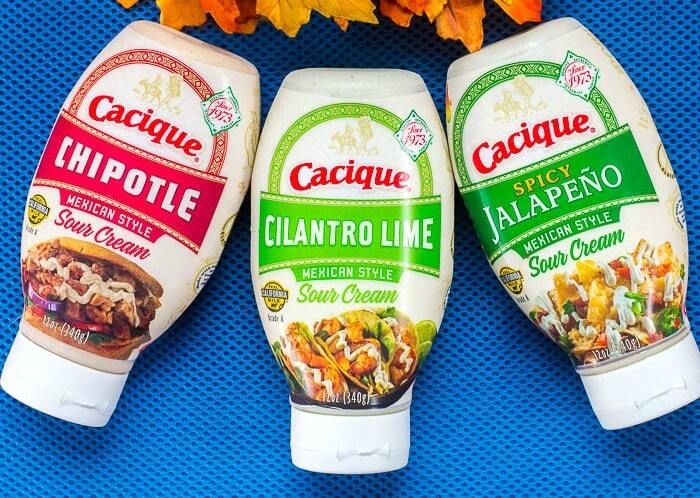 Squeeze in a dollop of the Cacique® Spicy Jalapeno Mexican Style Sour Cream and stir. 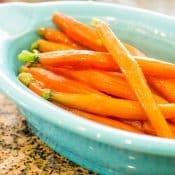 This makes the dip extra rich and creamy. 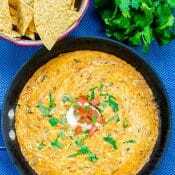 Then serve the Cheesy Chorizo Jalapeno Mexican Dip hot! 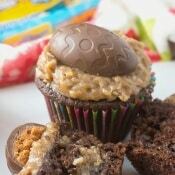 Be sure to visit the Cacique® website for more easy Mexican recipes and ideas.